“CSM – some places for a few of us” refers back to the headline of the ISRAEL POST saying: “any place for all of us”. We alternatively offer to deliver postcards exclusively, slowly, but personally – in a delivery period of 2 years (until 12/2012) – at any place of the world. 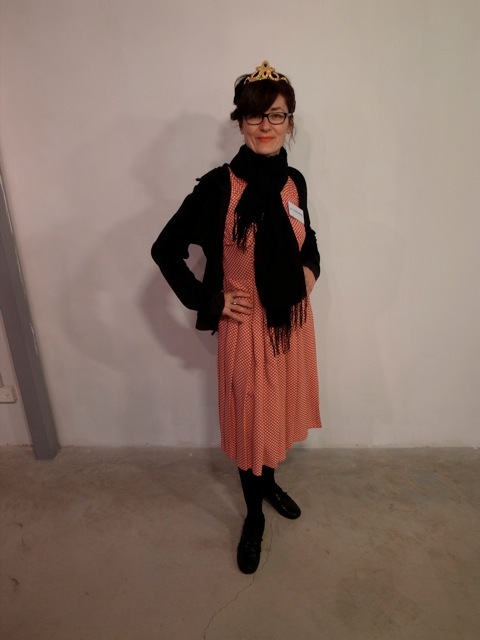 During the Vernissage in “design space”, people could take a number and were called one by one to visit a special floor, where they could write a postcard to someone, knowing that the postcard will be delivered by ourselves. 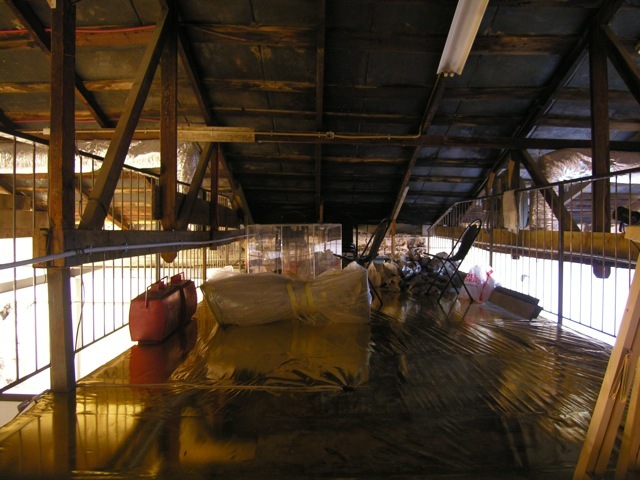 It is like an imaginary upper floor with a golden ground level where they are, but still looks like it was before: a storage room with plenty of “things” standing around. People can talk to a person called “Cunégonde”, working in this strange and imaginary “post office”, people do get in a different mood and time-awareness in the middle of the ongoing and crowded vernissage. Of course, people were sending us to friends they like, but also to strange and far-away places or also to themselves, taking advantage to get visited one day.. This is a piece for a random audience, we are guided by chance and destiny, wondering about side-effects und unexpected incidents. It is mainly about having a kind of a guide for a following candide-like-journey and is meant to put in question: what is the real profit of things? What value has unefficiency and irrationality? And it is a manifest for “being personal”.. While speaking with people at their home-place we wonder about the ELDORADO of people. Why are they, where they are? What did they imagine, where they will be one day? Would they like to be somewhere else? Where? 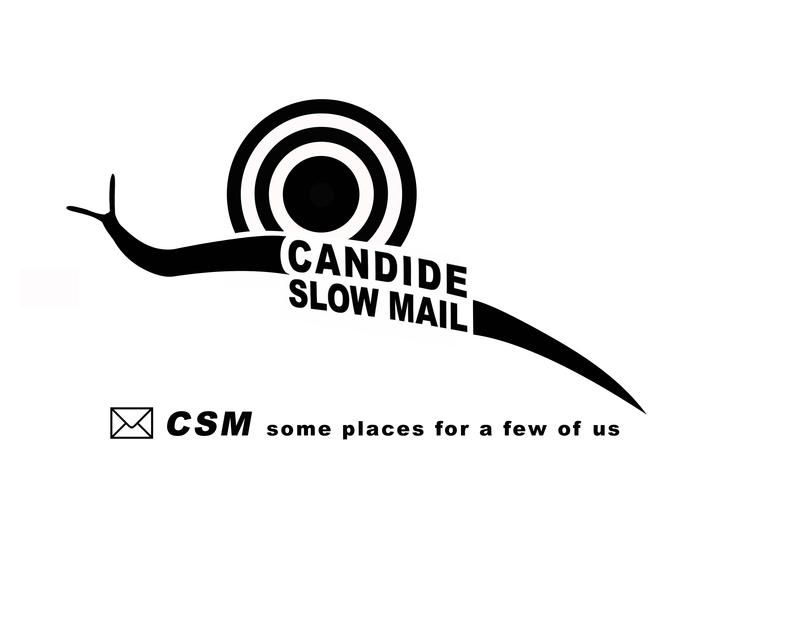 CSM slowmailservices – will deliver postcards in switzerland, italy, france, germany and in the united states so far. The journey is meant to be continued..